With the battleship Iowa being prepared for its debut next year as an interactive museum near Los Angeles, you might be thinking, where’s my battleship? 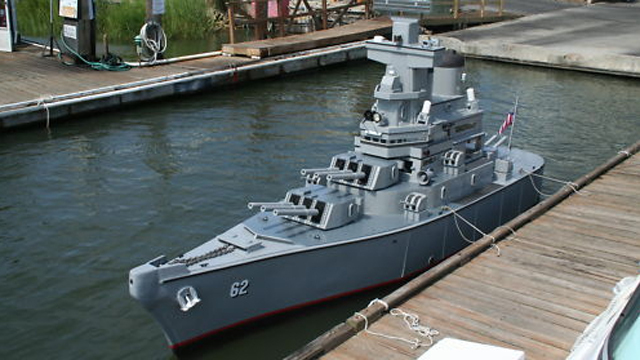 The car enthusiast website jalopnik.com has the scoop: For a mere $80,000, you can own your own replica of the battleship New Jersey. And since the listing notes that there’s room for a two-man crew, you and a shipmate can split the cost.